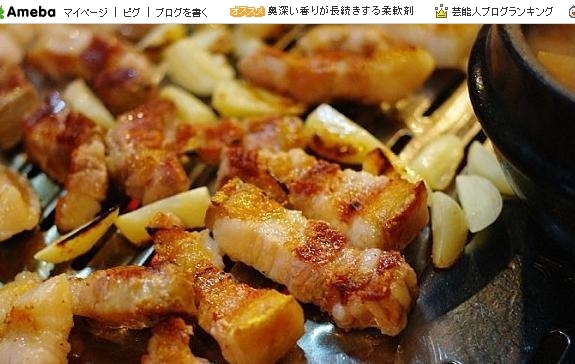 There's been a poll lately on foreigner's favorite Korean food. When I say foreigners, I mean people from all over the world!! This is basically a less salty, thicker, softer bacon. Here's a typical sam gyop sal! Kimchi is good, but this is how you usually eat sam gyop sal. 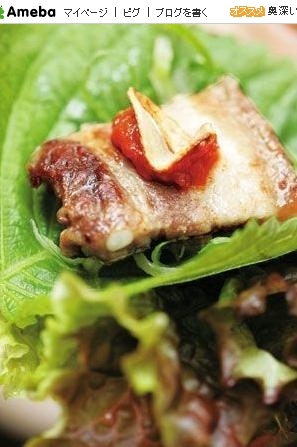 Or you can eat them with green onion strip salad, which tasts GWEAT(give me some support here. I'm trying my best to be cute)!! 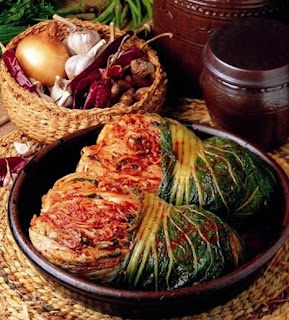 Here's a couple of information about kimchi. 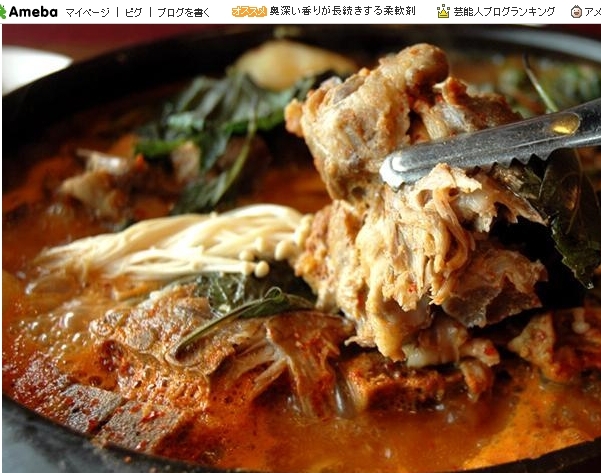 It's one of the most popular Korean food. Koreans eat this with ANYTHING. There are more than 300 kinds of kimchi in Korea, but the ones people typically eat are made of Korean cabbages, radishes, cucumbers, or green onions. Just with the most common cabbage kimchi alone, we can make tons of different food. Lots of people enjoy this with drinks. All you need is warmed up tofu, and stir-fried kimchi. A touch of sesame would be nice, too. 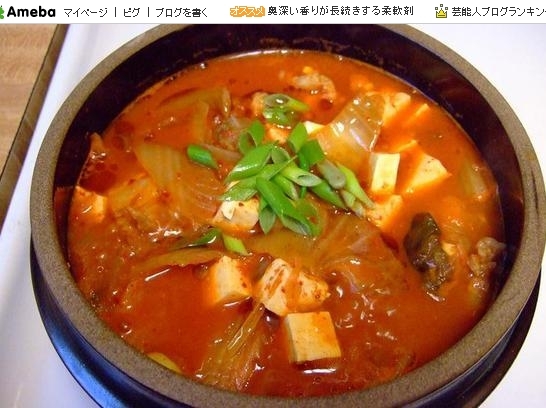 Kimchi Stew:Another simple food. 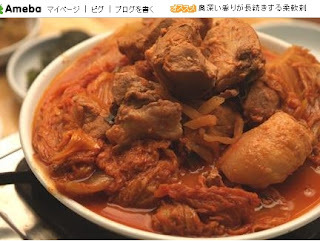 Dump some kimchi, tofu, and pork meat in anchovi-brewed soup! Chop kimchi, carrots, ham, zucchinni, and onions. Stir-fry the carrots first, and then add the rest. Then, add the rice after the vegetables are cooked. 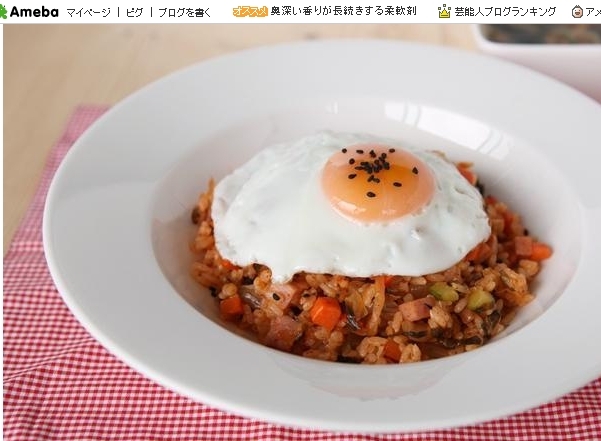 Cherry on top of ice cream, or do you prefer fried egg on top of kimchi fried rice? :) I choose the latter. You use normal flour over here. Chop some kimchi, onion, squid/octopus, green onions in it, and keep the texture soft, moist, and flowy like pancake batter. Then, you basically cook it like pancake. Look at how many different kinds of vegetables are in there! It must have, and in fact, it does take a lot of time to make all those. If just one of the vegetables is too salty or too bland, the whole dish is going to be ruined. I remember when I lived in Chicago (Wilmette in north shore, specifically) I ate the best bibimbap ever in downtown Evanston near my house. 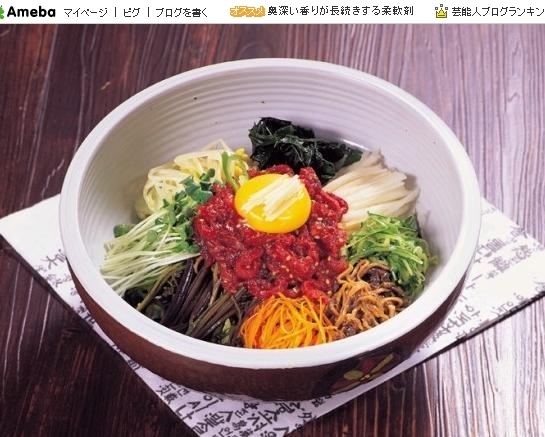 It was different from traditional Korean bibimbap. It was really like eating a BIG bowl of YUMMMMMY rice salad. Anyone living nearby, please go there and see what it's like to have a PARTAY IN YOUR MOUTH!! hint: the bibimbap shop used to be an ice cream store... I think they still sell ice creams (?) It also sells other great Korean food. All pure deliciousness!!! If you think this is junk food or some kind of food that'll make you gain weight, please don't worry. This has been chosen one of the most healthy, nutritious food ever made. Anyone having problem controlling their weights, please try this. If you're a vegetarian, just take out the meat! 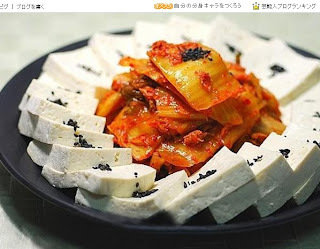 One of the healthiest Korean food! 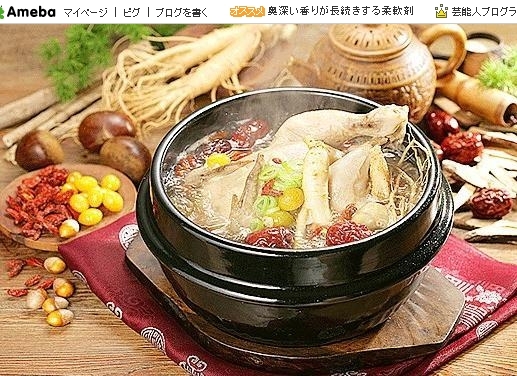 Ahhh, you can see those big chunks of ginseng in there, along with other really healthy stuff. Okay, not really. Sorry, that was gross. It has a very clean, light taste. Ugh! 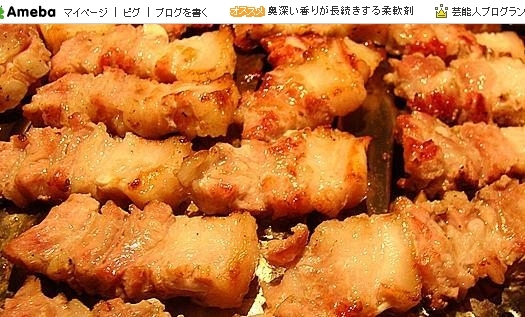 I just can't explain it in words, but I know everyone, EVERYONE likes this food. One vegetarian friend of mine told me how she started being able to eat meat without throwing up because of this food. See? It doesn't even have any of those unpleasant meat smells that disgust people with sensative nose. 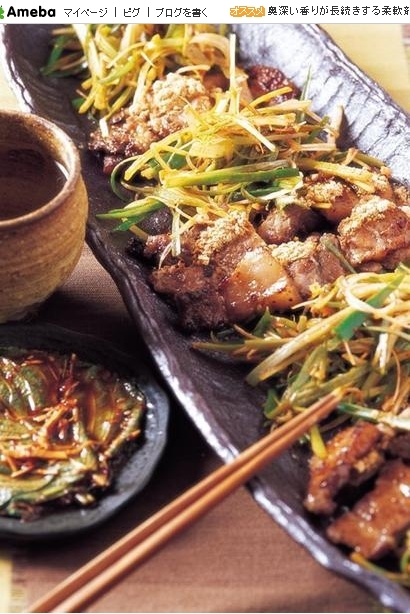 This food is popular during Summer, because it gives you strength to get through the hot weather while working hard. However, it's great during any weather; espeically winter when you are freezing inside and out! This food below is called Gamja Tang(Potato Stew). 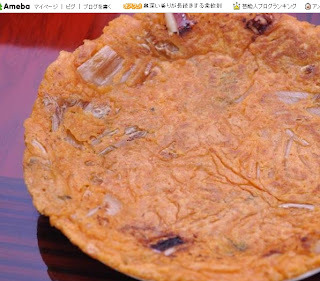 This is made of potatos, pork meat with bones, mushrooms, and tons of vegetables. You may notice that not many women eat this food. Yeah... this is crab. umm... cut in half. 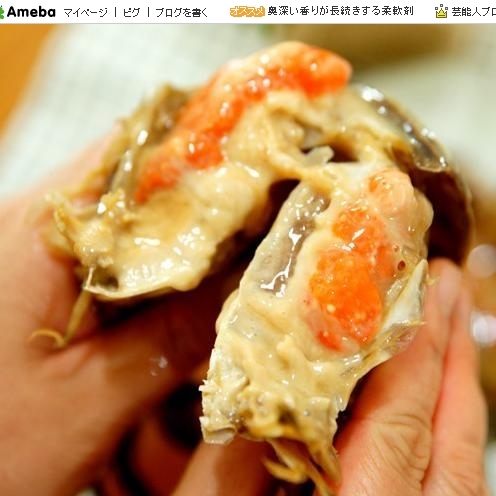 It looks kind of disgusting because it's basically raw crab dipped in soy sauce. It's my favorite food. It just tasts so good! 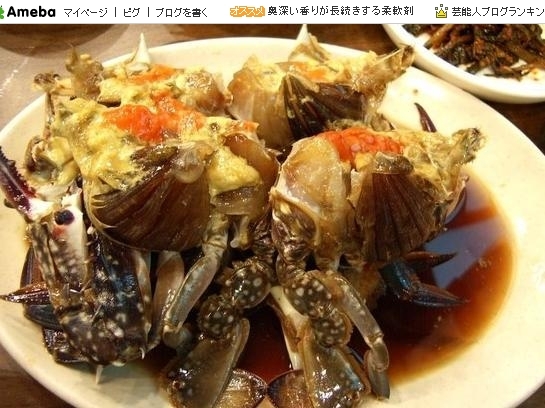 It tasts nothing like cooked crab or steamed crab. It's way more moist, soft and tasty. It's so hard to eat all their flesh, and its thorns hurt my lips sometimes, but it's so worth it. 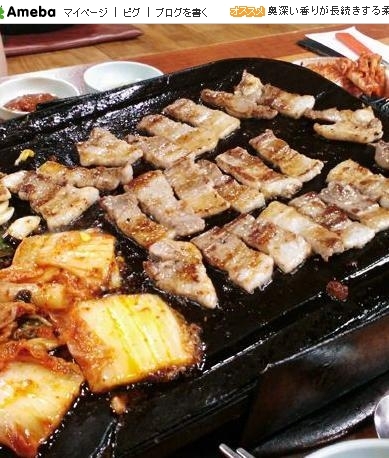 If you have been to Korea, you may recognize some food. If you don't recognize some, you should come back and try! For those of you who have never been here before but are planning to treat yourself a visit here, please please try these food! Just in case you'd want Korean names so that you could show this to people to find these food, I'll write it down below!